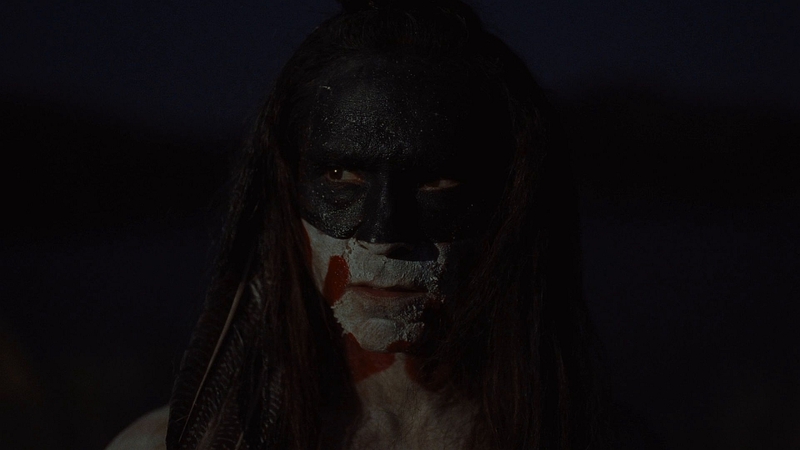 Westworld’s convoluted timelines, plethora of secrets, and philosophical questions about the nature and personhood of robots have dominated the conversation around the series and quite often episodes of the series itself. But when a stellar performance from a member of the Ghost Nation takes over for one of its most focused episodes, the paradigm shift is staggering. The Ghost Nation is made up of “older model hosts,” which have been around since beta or alpha testing. They’re the first ones in and the ones that almost get left behind. (Not a bad metaphor for the Native American experience in America.) But with “Kiksuya,“ they stop being a metaphor and start being characters. 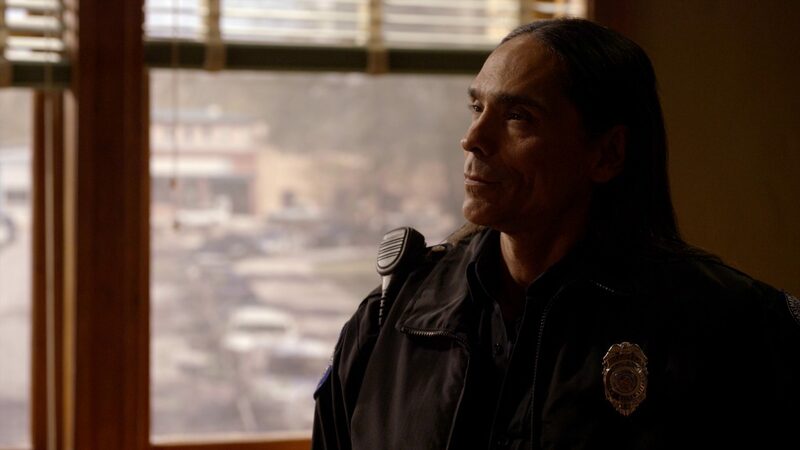 Especially their chief, Akecheta, who’s appeared in the last few episodes and is played by Zahn McClarnon in a tour-de-force performance, navigating some seriously choppy waters when it comes to memory and identity. McClarnon spoke with Paste about playing a member of the Ghost Nation, Terrence Malick, and what it’s like working on Westworld. 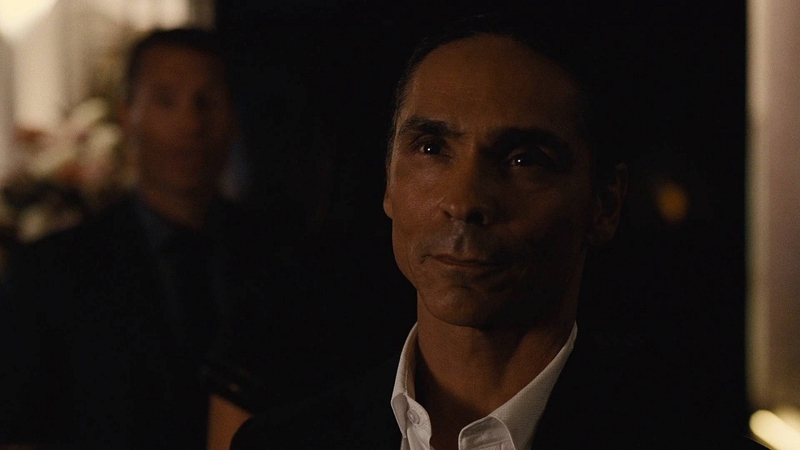 Paste: I’m so glad we could talk, because your performance in “Kiksuya” blew me away. Zahn McClarnon: Appreciate it, man. Thank those beautiful bold creative people. [Showrunners] Jonah [Nolan] and Lisa [Joy], [writer] Carly Wray, the directors, the production… It takes the whole team. It really does take a village. Paste: When you were going after this role, did you know what it was going to be? McClarnon: To be honest with you, no. I went through the process all actors go through. I auditioned—and they don’t give you a lot of material to audition with—and you make a choice, put it on tape. Obviously, I was aware of Westworld and how innovative the show was. I probably would’ve worked for free to be on the show. I just think it’s bold television. Paste: So getting Akecheta came down to sending in a tape? McClarnon: Yeah, yeah. They give you a few lines of dialogue for you to kinda get the idea—a little bit vaguely—of who the character is, then you do your lines and hope for the best. Paste: You had no idea that this character, who up until now was pretty one-note and mysterious, was going to get this whole episode of sci-fi romantic tragedy? McClarnon: No, not at the time. It’s a very unique process they do. They give you just as much as you need to know. I found that to be very unique—you usually don’t work like that—but positive. I learned quite a bit. At the end of the process, you realize that Jonah, Lisa, Carly, and the directors give you exactly what you need. To hit your mark and be honest. Paste: Akecheta goes through so much, so many extremes, finding that honesty sounds difficult. How do you do service to that range in such a brief timespan? McClarnon: You gotta go scene by scene, get some direction, and take that direction. You try to make it your own and process that information. Do a couple takes, then do a couple more takes. [Laughs] Then, eventually, they figure out which take they want to use. It’s a very [Terrence] Malick-esque process. I’m a big fan of Malick. I kept thinking of The Thin Red Line, that kind of vibe. You hope those emotions are coming through to the audience and people are able to experience it and relate to it. Paste: You certainly get that mix of the ethereal and the violent—not to mention the voiceover, which you do for so much of the episode. All in Lakota, as well. McClarnon: Which was a great idea. I was so glad that they did all the voiceover in Lakota. It adds such a different dimension to the performance and the episode itself. And they got it right. We used a dialogue coach who walked me through the language. I was familiar with it because I grew up around it, but certainly not fluent. The credit goes, again, to the production team. How much time they take, how much they research, how many good people they bring on to help. I think all productions should be that way, especially when pertaining to different tribes and different cultures. They spent that much time on the Shogun World culture and they spent that much time on the culture of the natives. They’re a fictitious tribe, which let me bring my own experiences growing up in the culture—on a reservation, around a reservation—to that. Paste: What was it like playing an amalgam of what a bunch of white people thought Native culture was? That’s basically what the Ghost Nation is, a programmed generic tribe. I found that a lot easier because when you’re portraying specific tribes, you want to get it exactly right. Here I didn’t have to go on set and be a cultural advisor and an actor at the same time, though I did bring that knowledge and experience with me. Paste: It sounds really liberating to finally just get to be an actor first and foremost. McClarnon: Definitely. And they’re smart audiences, they understand what we’re doing. Paste: Are audiences getting smarter about representation since it’s been a more widely discussed topic in the entertainment space? McClarnon: Absolutely. I have people come up to me all the time because of different shows I’ve worked on and say they’ve been educated. “We didn’t know that” about this tribe, or “We didn’t know” that this language was still alive and people were still using it. Productions are being more aware of stereotyping. They’re coming to us and hiring cultural advisors to get it right. That’s a huge step in the last 40-50 years. They’re not using white people to play natives anymore. Paste: I know you’ve been trying to work with more Native filmmakers, like Sterlin Harjo, who I know from my time in Oklahoma. McClarnon: Sterlin’s one of my best buddies. He’s got some things in the works that I’ve helped get seen. We did a pilot about a year and a half back where he was brought on as a producer—the community of Native actors, writers, and directors is getting bigger and bigger. That’s important because we can start telling our own stories. And Sterlin, I think is just brilliant.